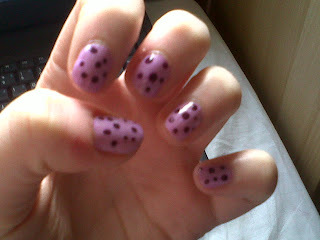 Helen Rambles On: NOTD - Purple spots! 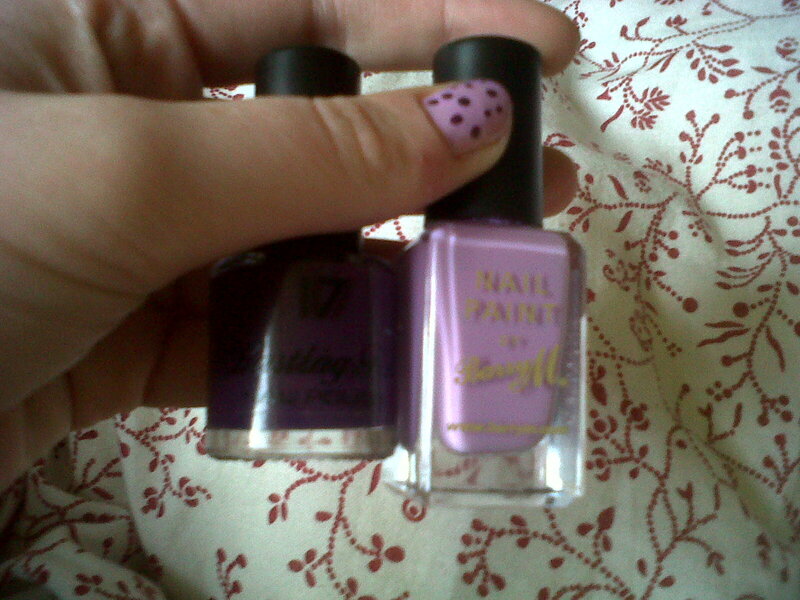 Purple is one of my favourite colours and I think these turned out pretty well! The base colour I used was Barry M Nail Paint in Berry Ice-Cream. It took two coats and then I used 17 Lasting Fix Nail Polish in Royal Indigo to do the spots.